No longer seen as the poor-man's 911, the Cayman's reputation continues to rise. This is the second generation model and considering how good the original was it has big, err, tyres to fill. We were impressed by the new Boxster, launched last year, so this is one car we've been looking forward to driving for quite a while now. 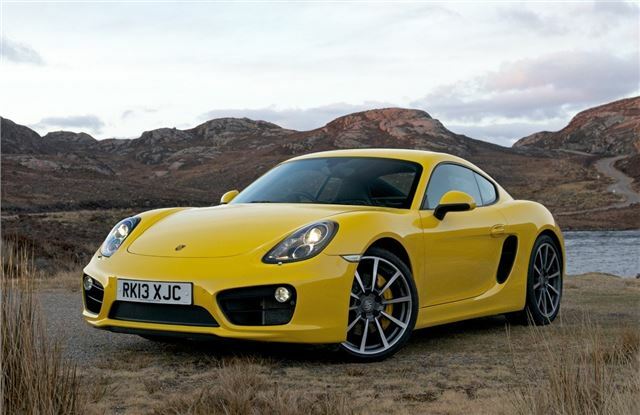 The original Cayman was a beautifully-proportioned car and Porsche hasn't messed with that formula for this all-new model. 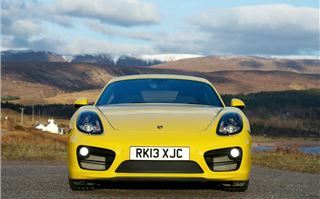 It has that recognisable Porsche profile and flowing shape but there are a few more angles than before with a slightly more bluff front end and not so many rounded edges. 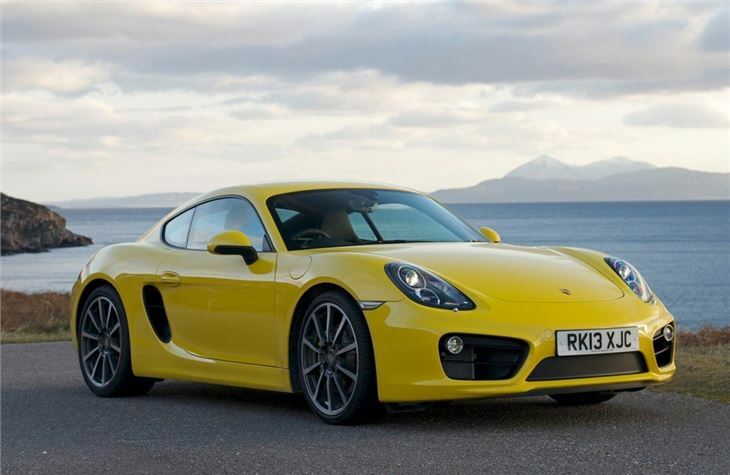 Porsche describes it as a 'refinement' of the old Cayman. 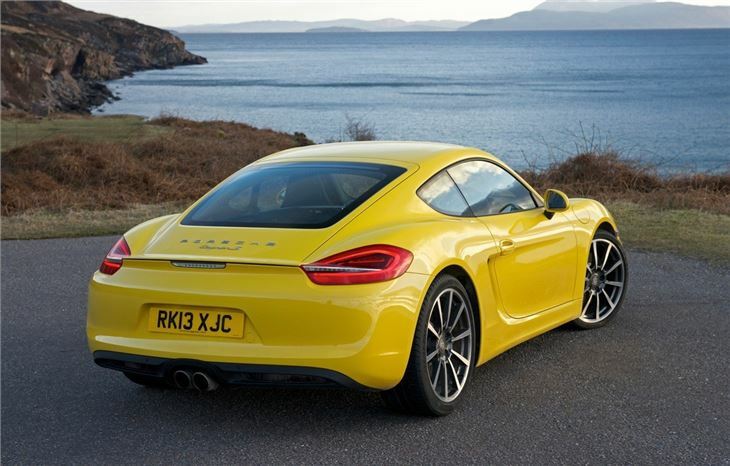 The sharper lines work especially well at the back where it's more cohesive than the original Cayman helped by a prominent ridge that runs across the back between the rear lights. Like the Boxster, this neatly houses the electric spoiler but on the Cayman it's higher and deploys at a steeper angle for extra downforce. 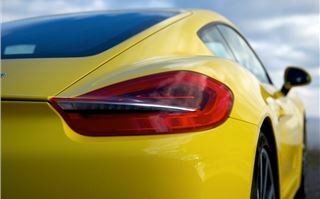 The central exhaust remains too with the standard Cayman getting an oval tailpipe while the S has a dual exhaust. 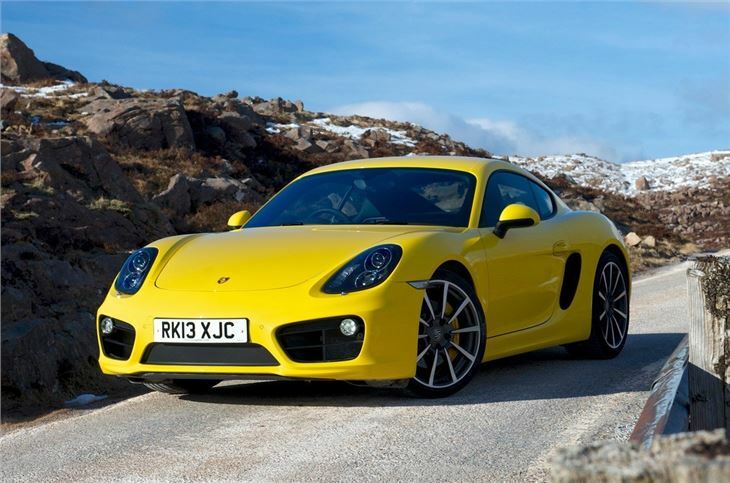 If Porsche's aim was to make the Cayman appear more aggressive it has certainly succeeded. Larger alloys help with the Cayman getting 18-inch wheels and 19-inch alloys on the S, but the biggest difference is inside. The interior marks a significant improvement in both ergonomics and design, following on from the new 911 and echoing the Boxster. It can seem quite button heavy at first - this is part of Porsche's design aimed at having all the controls to hand, rather than the driver having to go through menus on a screen or use a dial control. It's all fairly straightforward though and Porsche has really improved things like the sat nav and entertainment system along with the layout of the air conditioning controls. There's now an electric parking brake which frees up space too. 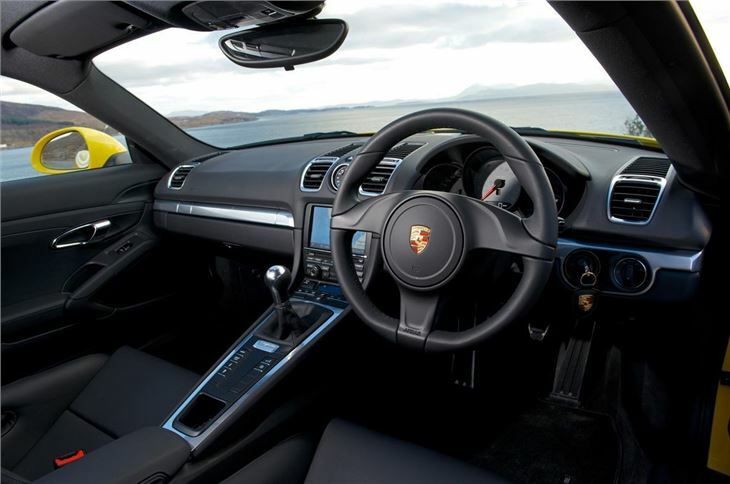 Finally it seems the Cayman has the modern interior it deserves. It's even practical with a boot at both the front and back thanks to the mid-engine layout. But the fundamental sense you get from sitting behind the wheel is that the Cayman is a car designed for one purpose - driving. The low slung seat, perfectly placed pedals and high-mounted gear lever mean you immediately feel like you're in a proper sports car. It sounds like one too. Porsche has stuck with traditional normally aspirated flat-six engines - there are no turbo or superchargers here - so you get that trademark Porsche engine note. 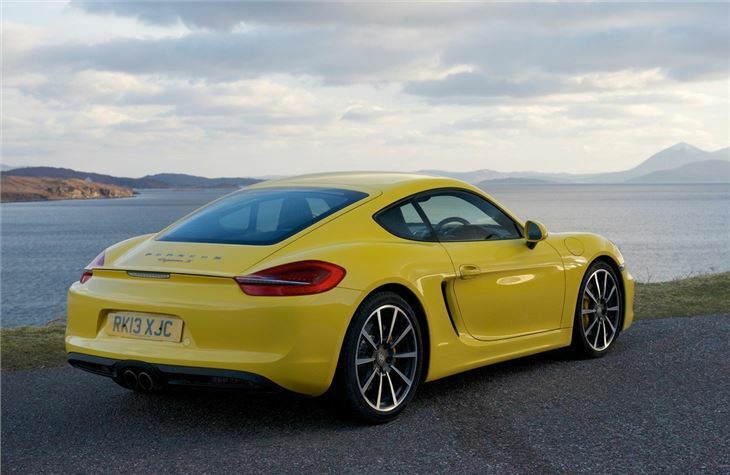 The standard Cayman has a smaller engine than the outgoing model - down from 2.9-litre to 2.7-litres - but as it's a higher revving unit it actually has more power with 275PS - an increase of 10PS. The new engine also produces more power at identical engine revs. 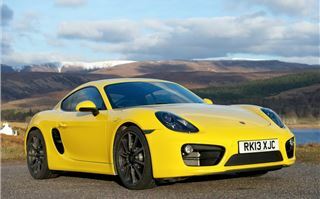 It's easy to look past the Cayman and focus on the Cayman S but the standard version is hardly slow. On paper it will accelerate from 0-62mph in just 5.7 seconds and a smidge faster if you go for the PDK. So it may not have an S on the boot, but in everyday driving it feels more than fast enough. 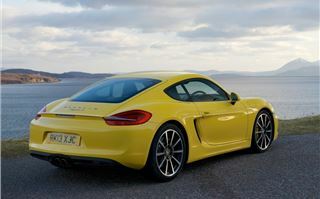 The improvements over the old Cayman are noticeable with better engine response and a touch more urgency in gear. It's still as smooth as ever and even more free-revving. With the wonderfully precise six-speed manual gearbox it's a delight to drive with the howling engine and exhaust adding to the experience. It's surprisingly economical too with an official average of 34.5mpg for the manual. Not bad for a car with 275PS. 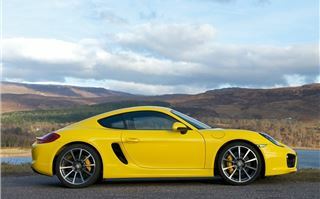 But you can't deny that the Cayman S is that extra bit special. It uses the same 3.4-litre engine as before but with power now up to 325PS and like the 2.7-litre unit, there's more power across the rev range. It's quicker than the Cayman from 0-62mph, taking 5.0 seconds in the manual, but you really notice the extra power at the top of the rev range. 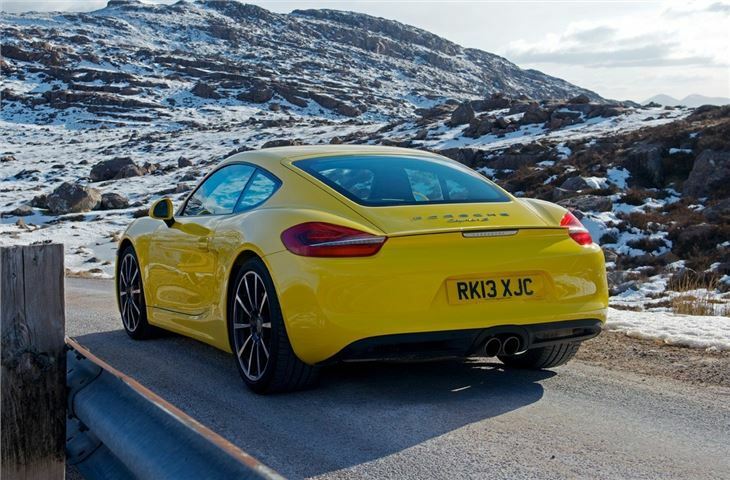 We're real fans of the standard manual gearbox, it's easy to use in traffic yet still has a short shift which is ideal when you want to enjoy the Cayman on some more interesting roads. 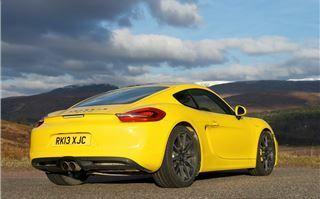 It makes driving the Cayman quickly but smoothly really rewarding. 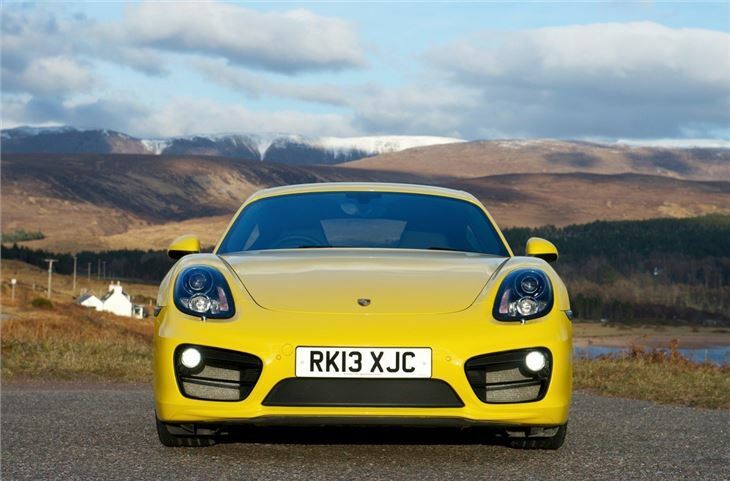 As an option you can go for the seven-speed PDK (which stands for Porsche Doppelkupplungsgetriebe pub quiz fans) twin-clutch automatic gearbox. When this was first launched in the 911 a few years ago it got a lukewarm reception but Porsche has massively improved it since. It comes with steering wheel mounted paddles, which thankfully are fixed to the steering wheel and not the column, so you can control the changes yourself. It may not feel as involving as the manual but the PDK is a mightily good gearbox and by far the best twin-clutch automatic around. While the PDK may not be the purists choice it's easy to see why many buyers, especially those new to Porsche, are choosing it. In traffic you can leave it in D and it will happily potter along with nice smooth shifts. Then on proper roads you can take control yourself thanks to incredibly response shifts via the paddles which result in instant changes. Hard braking results in faster downshifts at higher engine speeds, with a nice blip of the throttle between each shift. 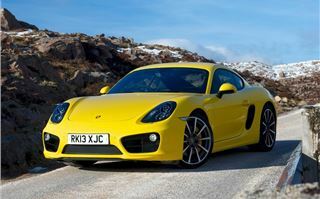 The original Cayman was the benchmark for sports car handling and with this model Porsche has improved it even further. It has a completely redesigned chassis as well as new front suspension and a 60mm longer wheelbase with shorter overhangs. Add in a wider track plus bigger tyres and the result is a supremely surefooted car with immense traction and grip. It's perfectly balanced thanks to the mid-engine layout and feels less intimidating than a 911, especially in the wet. The steering is superbly responsive and accurate too with a nice weight to it. 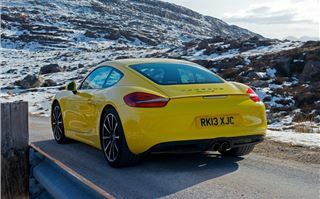 This new Cayman is around 50kg lighter than before and has a significantly stiffer body, so not only is it even better through tight corners but the ride is more refined, particularly noticeable on poor roads. It's still firm - this is a sports car after all - but it's rarely uncomfortable even on particularly bad surfaces. 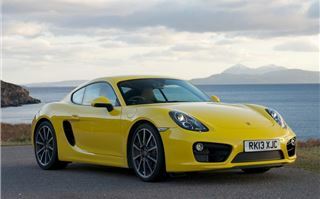 Like the Boxster, the Cayman has the PTV (Porsche Torque Vectoring) system as an option. This acts like a rear differential by braking the inside wheel in corners while at the same time sending more power to the outside wheels. The effect is that you don't need as much steering input through bends and there's better traction on the way out. It's not cheap but we think it's worth the extra. So what about prices? 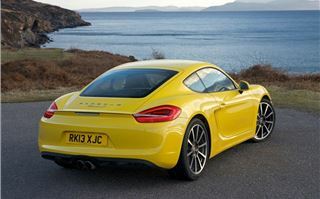 Well considering how special the Cayman feels, it's not actually that pricey. The standard version starts at just under £40k and although that's more than before, it gets more equipment as standard. Of course that's without any options fitted and it's easy to add on a few thousand pounds worth of extras without even trying. But this does at least give buyers plenty of choice in terms of what they want to spend their money on. 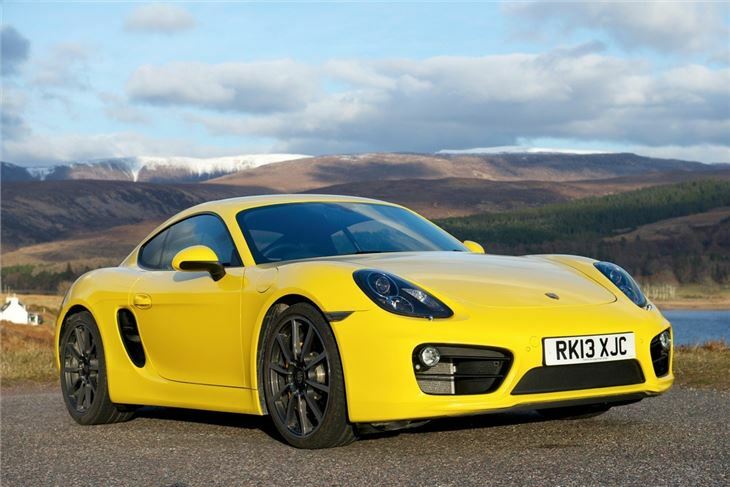 Move up to the Cayman S and prices start at almost £49,000. 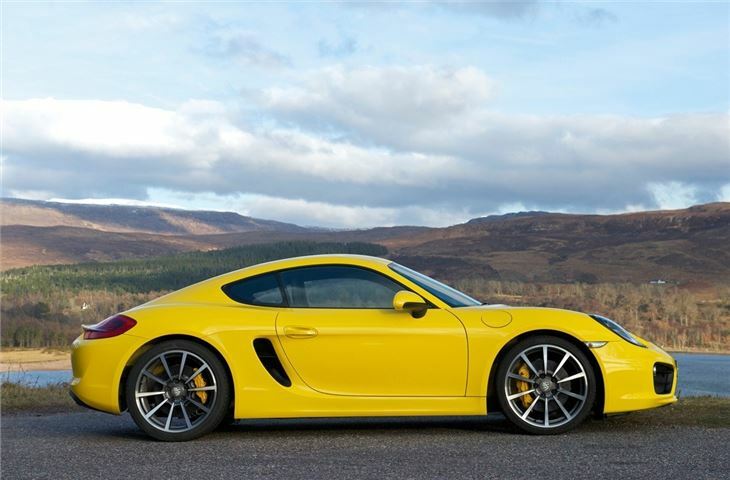 Porsche has kept all the elements that made the original Cayman so good and added to them with a touch more refinement, improved quality and even better handling - a real feat given how impressive the previous model was. No other sports car at this price comes even close to the Cayman. It's pretty much faultless. We think it's a bit bloody good.